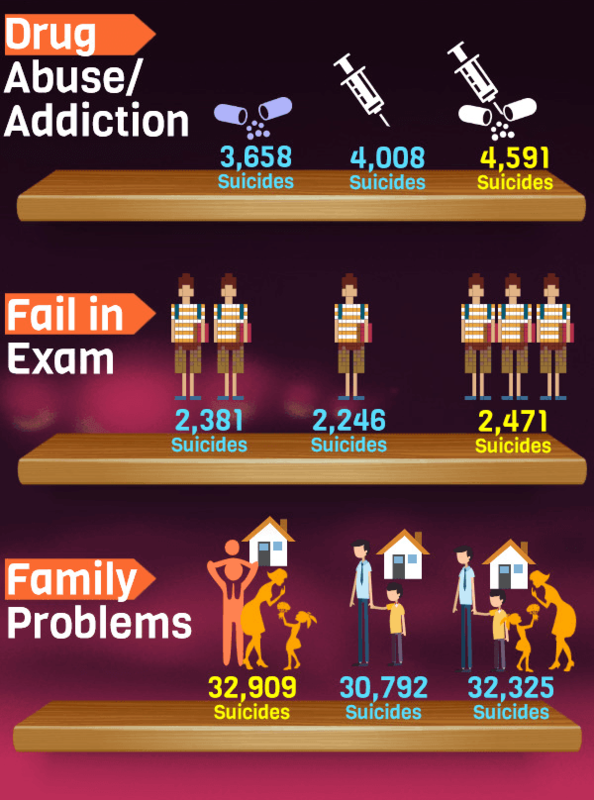 According to the National Crime Records Bureau's latest report, on an average more than 1 lakh people commit suicide every year in India. 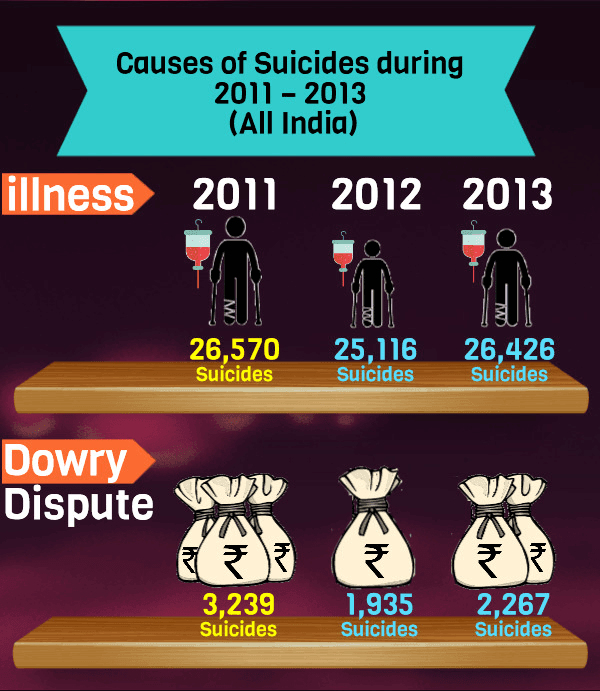 The overall figure has been more or less constant in the last three years, however suicides due to reasons such as dowry, poverty, bankruptcy have marginally reduced. 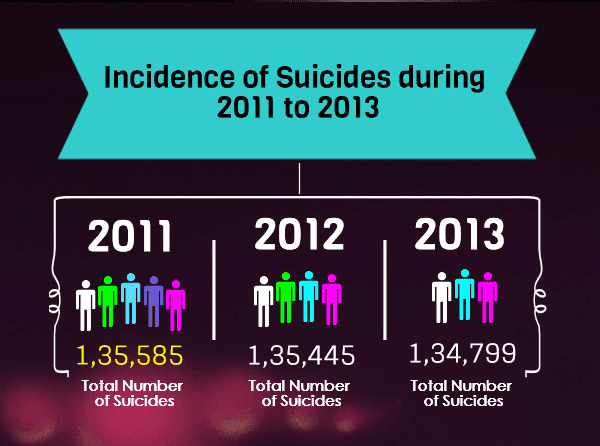 While a lot of other stress & depression related reasons to commit suicide have marginally increased. 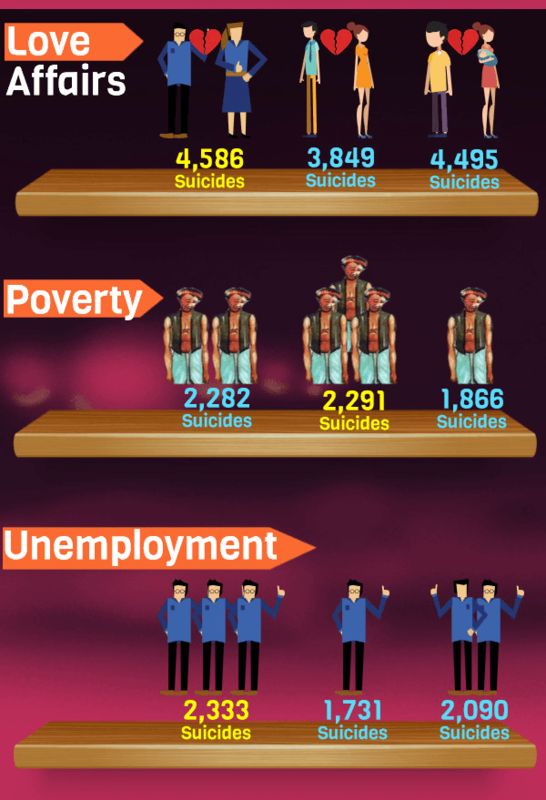 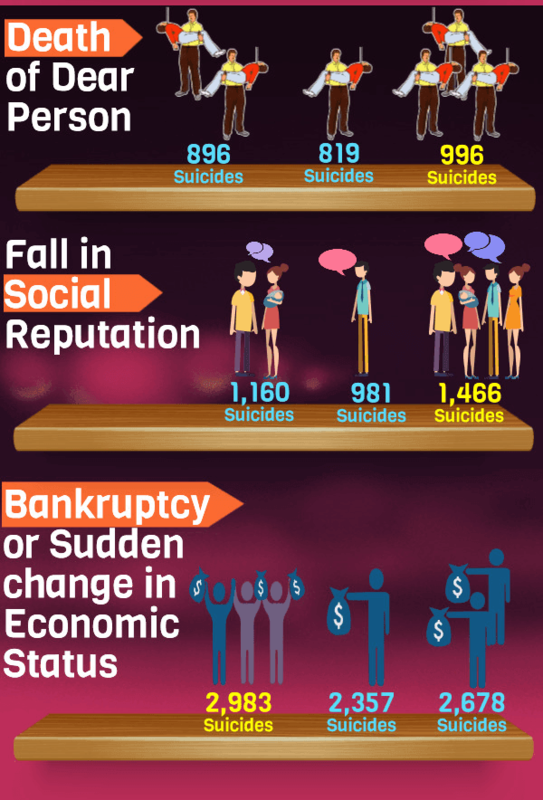 Check out the major reasons why so many people commit suicide in India.